The DPP – 2016 has largely focused on the ease of doing business and has attempted to create a level playing field for Indian industries, particularly private sectors. The DPP – 2016 is quite different from its previous edition for not remaining just as a manual for procurement process. Unlike DPP-2013, the new document has made an effort to clearly lay out the plan to achieve the self-reliance in defence sector by linking the DPP – 2016 with “Make in India” initiative. 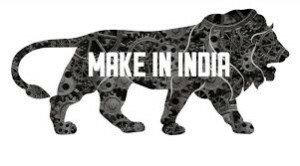 The “Make in India” initiative was one of the guiding principles of this government. The introduction of Buy (Indian – IDDM), reducing the timeframe for Acceptance of Necessity (AoN) to six months and Fast Track route to speed up procurement process are some of the major highlight of DPP – 2016. Moreover, changes in acquisition process, enabling provisions in “Buy and Make” cases and increase in funding of MoD project from present 80 to 90 percent in “Make” category are aimed to address multiple objective of self-reliance and provides impetus for MSME sector. The major component of DPP -2016, the chapter on Strategic Partnership (SP) has been temporarily withheld given that there is disagreement within the Ministry of Defence (MoD) over the proposed SP model. The idea of SP model is to create an additional capacity in private sector to share the burden of Defence Public Sector Units (DPSUs) and Ordnance Factories (OFs). Since, the private sectors have no capability to compete against the much larger and more experienced DPSUs and Foreign OEMs. The Dhirander Singh and Dr VK Atre Committee suggested SP model to reverse the unequal situation between private sector and DPSUs. The MoD’s finance department has raised concern over Dr VK Atre Committee’s suggestion to exclude defence manufacturing from the Competition Act 2002 and restrict it to SP mode, which could lead to monopolisation. Further, sub-optimal division of ship-building into above the water and below the water category faced severe criticism reportedly from several key private players. The SP model, the crucial element of the DPP – 2016 is likely to undergo further changes to remove the anomalies in the proposed SP model. Therefore, one has to wait for a clear enunciation of the SP model. The prioritisation of Buy (India-IDDM) in procurement category and “Make” project is aimed to provide handholding to “Make in India” initiative and has the potential to increase the contribution of manufacturing output to 25 percent of country’s GDP. The Indian private sector has also matured over the years is now capable of taking up design & development role in association with R&D organisation. With the DPP – 2016 in place it is becoming increasingly apparent to all concerned that the defence manufacturing capability cannot be built in isolation and requires the active involvement of the private sector. The defence manufacturing is listed as one of the primary sectors of “Make in India” policy, keeping in mind its ability to attract investment from Foreign OEMs and create millions of jobs in the next five years. According to Boston Consulting Group (BCG) estimates the defence sector has a potential of increasing the defence manufacturing workforce by 1 million people within five years. The report also claims every million directed job created in defence manufacturing will create additional 0.5 million in indirect jobs through sub-contracts and vendor. The human resource capacity in the private sector has already demonstrated its capability in field of automobile, Information technology (IT) and various other sectors. Government is trying to replicate the same model by inducing private sector and Foreign OEMs to invest in defence manufacturing. In addition, the “Make in India” initiative also seeks to expand defence manufacturing keeping an eye on the highly lucrative defence export market. Across the world, governments have put in place a defence export strategy to tap the opportunity in overseas defence market. As of now, DPSUs are the leading exporters of weapon equipments and are planning to expand this arm of their business by three to four times in next five years. However, the growth of Indian industry in defence manufacturing sector is minimal when compared to DPSUs and OFs. It is imperative that the government should put in a framework that encourages collaboration between the Public and Private sector companies for defence export based on Public Private Partnership (PPP) model. The DPSUs and Private sector should also put in place a system to share the capability and capacity to support overseas sales and servicing and maintenance through the life of the product. Even though the private sector companies get licenses for manufacturing weapons and ammunitions, it is the DPSUs and OFs which secure the orders. It is crucial the Indian government focuses on specific issues in defence export which could help in boosting the “Make in India” initiative. The DPP – 2016 which has articulated a level playing field for private sector would provide considerable push for the “Make in India” initiative. In conclusion, Industry has responded positively to DPP – 2016 and “Make in India” in the defence manufacturing sector. Defence Minister Parrikar understands the limitation in procurement process and has mentioned the need for mindset change in MoD to speed up the process. The need of the hour is to bring transparency in defence procurement process and get rid of the inertia within the defence bureaucracy.